Subtle tones, handwoven textiles, splash of neon shades and creative sensibilities defined day one of Ganga Florentina presents ABIL PuneFashionWeek 2013 in association with Xerbia, partnered by Quintessentials. With designers Vaishali S, Shweta Kapur, Shivan & Narresh, Geisha Designs by Paras and Shalini showcasing their collection for Rudraksh and Shipra Malhotra, all the collections exuded style with elan. Hosted at The Westin, the fashion extravaganza saw designer Vaishali S raise the curtain with her collection inspired by spiritual life. It wasn't just the models who displayed her collection on the ramp, off-stage we spotted Rasika Wakalkar don the designer's outfit which included a white cape on which the design on the border was created out of cotton wicks. Adding colour and festivity to the ramp was designer Shipra Malhotra's collection. 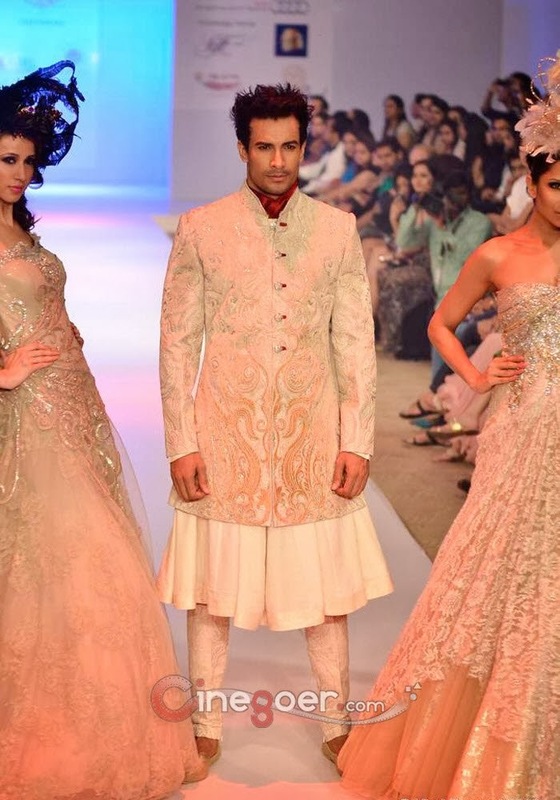 Actor-model Bruna Abdullah was the showstopper for her show. While designer Swati Vijaivargie chose to experiment with paintings and motifs in her collection, Paras Bairoliya who closed day one, experimented with traditional Indian silhouettes. Adding oomph on the ramp were designers Shivan and Narresh's collection. They showcased holiday wear, in a range of blacks, greys, pinks and purples. Each design showcased on the ramp, made a statement of its own. Elated to be a part of the fashion week, Shweta said, "Pune has been very kind to me. It has a good fashion market and I am glad to be part of it." Speaking on the occasion, Badal Saboo, managing director, ABIL Pune Fashion Week said, "We have always strived to not only showcase the work of the best of the best in fashion but also bring forth newer talent, This year we have just gotten bigger and better, bringing together a combination of great talents and designs."